A unique pickup in a “unique” guitar. I’ve never owned a Burns guitar, and I have only one with Burns pickups: a funky mid-’60s Baldwin Virginian I scored for $100 some 20 years ago. It’s a cheap plywood piece of crap — but it’s my piece of crap, and I’m quite attached to it. James O. Burns founded Burns London Ltd. in 1960 and had success underselling expensive American imports. 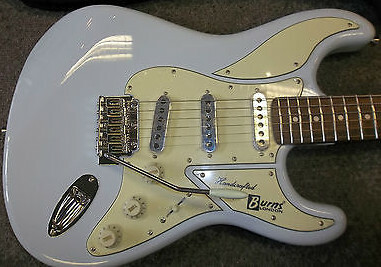 Burns users included Hank Marvin, pre-Zep Jimmy Page, and most famously, Brian May, who used Burns’s Tri-Sonic pickups in his iconic homemade guitar. Cincinnati’s Baldwin company bought Burns in 1965 and quality suffered — much like the same year’s CBS/Fender debacle, only on a smaller scale. But the Baldwin/Burns marriage produced some interesting oddballs, notably the Baldwin Burns Buzzaround (a quirky fuzz pedal favored by Robert Fripp), plus a lot of weirdo guitars. Like this one. There’s just something cool about the sound of these pickups, though I’ve never been able to discern which qualities are due to the pickups, and which to the oddball axe that houses them. 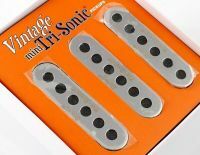 The famous Tri-Sonics are ceramic-magnet pickups, but these certainly don’t sound ceramic to me — they’re soft-spoken and if anything, somewhat under-powered. (I almost always use some sort of clean booster with this guitar.) The tone is pretty, in a humble understated way. They’re rather noisy (especially with trashed-out sounds), but that, too, is part of their charm. Anyone else have any experience with Burns guitars, pickups, or pedals? I’ve played Burns guitars, both reissues and ’60s originals. They look bitchin’, but none of them played especially well, and the famous “Wild Dog” pickup setting was never as wild as the name promised, though you could probably make it howl and bark with the right stompboxes. That looks and sounds like a ton of fun ! I will look around and see if someone local has one for you too.Lot of good sounds in there just not the standard ones we hear way too much. Didn’t you feature the Baldwin guitar and amp, and the Rhythm’n’Sound in GP about 17 years ago? I seem to remember reading about them back then, so it’s really cool to be able to hear them in use, instead of guessing what sonic glories (or horrors) they evoke. The least sycophantic thing I can think of to say here is: “what happened to the knife”? I was only barely aware of PJ Harvey. But. Wow. She is intense! This episode of Sessions At West 54th kind of effed me up when it originally aired, when I was in my early twenties. The other half of the episode was Chocolate Genius with Marc Ribot. Enough awesome crammed into an hour to almost make a young pup wanna give up. Glad I decided to buy a Tele instead! Right there with you — Ribot’s solo on Half a Man made me want to pile up all my equipment and set it on fire. You’re definitely fellow travellers, you and Marc. Subversive never sounded so good! Thay solo is still in my top 5 or so ever. The solo on ”Cold Water” by Tom Waits, too. Speaking of, gotta tip my hat to Joe- ”Black Wings” = BADASS. I always thought there could’ve been a Burns in among them. AndrewT, here’s hoping Joe’s next electronic project guide shows us how to make a time machine to hop back to that street (Denmark Street, I’d guess) and pick up a few bargains – did you see the prices? Wow! Bobby Womack and Paul Weller on the same night as Polly Jean? What an evening! Did you get to hang with Paul or Bobby that night? All three managed to change the world a little bit with their songs and their guitar playing. And all three have managed to remain relevant over the long haul. Oh yeah, and Oasis was pretty damn good, too, although the bros. Gallagher haven’t managed to retain their stature; their recent projects are pale imitations of their earlier, more vital work. I didn’t meet Weller or Womack. But Liam Gallagher kicked a soccer ball at me. No, I didn’t met Weller or Womack — and Womack is a real guitar hero of mine. I love his old solo records, and I love what he did on one of my favorite Tracy Chapman tracks, “Open Arms.” It’s got this faux-naive simplicity, but it is SO refined and elusive. I’ve never made it sound as good as he did, and I’ve tried for years. Wish I’d met him. On the other hand, Liam Gallagher kicked a football at me. Womack is HEAVY. I’ll have to check out the Tracy Chapman cut, ’cause this guy can do no wrong. One of THE master r’n’b guitarists. But one shouldn’t underestimate the southern England genius of Weller; his whole career has been instructive- a beautiful arc from punk to soul to pop and back a few times, and still vibrant and fresh. Noel and Liam take note. I have a Mini-May which is a travel sized version of the Brian May Guitar. It has one of the current Tri-sonic pickups that are used in the May guitars today. It has a really nice tone. The pickup is sort of in the lower mid position, the neck is very nice feeling. I bought it as a slightly used return from Music 123 with a really nice little gig bag (it was new by all appearances). I have a thing for these “soprano” sized guitars (not the Tony Soprano sized guitars). It cost me $80 delivered to my door, I wish I’d bought the other one they had at the same price. The short scale works really well as a change for slide. Do Tri-Sonics fit in a standard Strat pickguard? That could be really cool, and I happen to have a Strat lying around that I really like, aside from a couple of so-so pickups in the middle and bridge positions…hmmm. At the vintage and used shop where I spent my early adult life working, we had one of the smaller Rickenbacker solidbodies (can’t remember the model, one of the two-pickup, “tulip” ones, 320something?) that had been fitted with Burns pickups- and I kinda regret not taking it home. Ricks equaled jangle in my mind, but that one was surprisingly, awesomely raw-sounding. Gave the ’66 SG Jr I had at the time a run for its money, even. Man, I miss working in a guitar shop! I hate to be the bearer of bad news, but…NO! They’re too fat to fit in a Strat rout. Has anyone ever made a Tri-Sonic in Fender form? I’m no longer associated with Seymour Duncan, but I can’t help thinking that anyone who phoned up MJ in the Custom Shop requesting exactly that would either hear that: a) she’d cracked that nut years ago, and has one ready to ship, or b) she’ll make you one herself. And not insanely expensive. GuitarFetish makes some called Brightons that are strat sized. The owner claims to have worked on the original Guild “Red Guitar” project in the 80’s. He admits it won’t make your strat sound like “The old lady” but feels he has captured the sound of the rewound Burns Tri-Sonics. 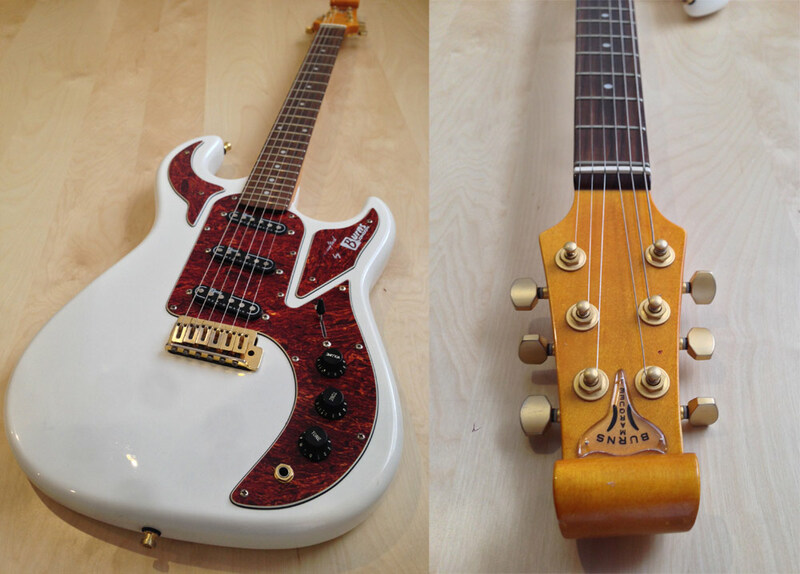 I may get a couple to try in my Gibson WRC #5 super strat as it needs a little something to get my attention again. They are around $85 for a set of three. I’ve had mixed results from GFS, but haven’t tried any pickups from them…though I’ve had my eye on the Surf 90 for a while now. 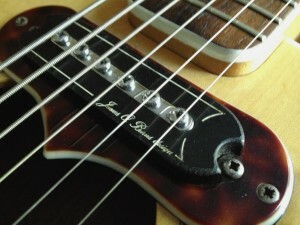 http://www.burnsguitars.com/minitrisonicpickup.php which are standard single coil size. I managed to source one on ebay (I think it’s a middle one) and put it in the neck of one of my Patrick Eggle New Yorks, really love the sound from it. 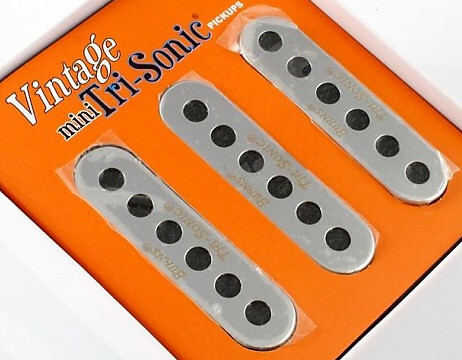 Burns produces Mini Tri-Sonic pickups which can be used as a replacement for standard-sized single-coil pickups. I personally like the sound of these pickups very much. I’ve seen those, but haven’t tried them. I’d like to, though! 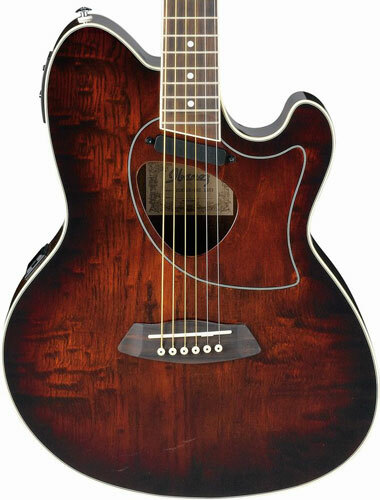 There are some similar guitar, not as vintage as them, but really good sounding; such as the Talman TCM50e: http://www.rockemmusic.com/files/Ibanez-TCM50E-Vintage-Brown-Sunburst.jpg. 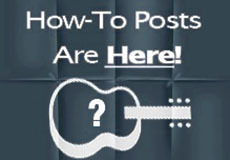 Nice guitar my pals and I refer to peg heads like the one on your guitar as “uncircumcised”. I have a Burns Marquee reissue, one of their strat-like things and it is simply fantastic. A truly underrated guitar. A pro friend of mine, who owns all the USA-made stuff you’d expect a session dude to have used to come over just to play it. “If you’re busy that’s cool – I just want to play your Burns”. He said it was the most Strat-like guitar he’d ever played. It nails the usual tones, but seems to have a bit of character all of its own. I recently put 13-62s on it to detune to B since I have some other stratty axes and don’t like having duplicates. It does the baritone thing really well. I have no idea why anyone would want a Fender after playing this for the last decade or so. They appear on eBay regularly for under £300 and never sell. Grab one when you can! I’m glad you dig it! I was ogling those at Musikmesse the year before last, but I didn’t have a chance to play them. I understand the pickups are in Strat format, right? So you could pop them into any Strat-type guitar? That’s right (whoa, over a year too late in replying!~) Just regular strat-size pickups. Ceramics, but still very cool and Fender-y. Anyway, if you are still after tri-sonic pickups that fit in strat cavity and sound good, give these a try http://www.creamery-pickups.co.uk/custom-handwound-pickups-from-the-creamery/custom-handwound-stratocaster-replacement-pickups.html#sonics . I have not tried them myself but Jaime really has a great ear I would not be surprised if he managed to capture the “cool” factor of these pickups. Thanks for the reminder, Zed — I saw them at Musikmesse 2014, but have never gotten around to checking them out. Now, remember: When you change the physical package of the pickup, you change its tone, so these Strat-sized models aren’t likely to sound exactly like originals, even if they use identical materials. But that’s not necessarily a bad thing—I loved some of the pickups I encountered when putting together the humbucker-sized P-90 roundup for Premier Guitar. Tons of cool pickups, even if they’re not totally period-accurate. Seems to be a “reissue” of yours, quite different though. I recently restarted to play guitar and was looking for the “right” sound. 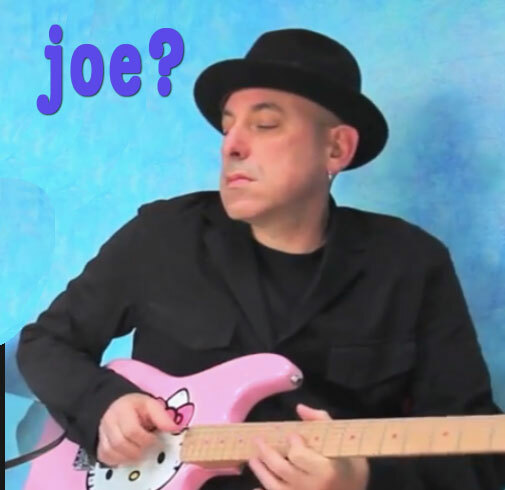 I wanted to have it clear and crisp but at the same time with a warm, full body (so not the typical Strat sound). I dislike most humbuckers and their tendency to loose precision and clarity. I tested lots of guitars and used two older ones to try many different pickups. Factually, the quality of guitar gear has become quite good, so I can’t say anything negative about what I tested – just I did not like it. Then I grabbed a Burns King Cobra from Ebay. And that’s it for me. It required a day setup work (I believe it got too much humidity where it was stored) but now it plays like a dream. It has the Mini Tri-Sonic pickups and I am totally in love with the sound. It is not spectacular at all, but my Cobra has exactly the tonal balance I wanted. Warm bass (never thin but never boomy), clean mids and crisp highs with moderate resonance only. Soft transient into distortion with great harmonics. I would say that the Burns guitars are underrated and deserve more attention. Since those are cheap they might require some work but for me the final result (sound and playability) was worth the effort. 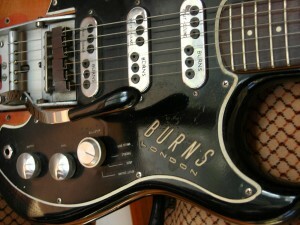 Anyone have a circuit diagram of the rotary switch to pickup wiring on a Burns split sonic from about 1962. The rotary switch has four positions “split sound, Jazz, Treble and Wild dog” and there are three pickups. Wiring in photo is not correct so need to fix this. The notes are in German but the wiring is pretty clear. The rotary switch does seem to be a two layer with contacts on the top side and on the bottom. By looking at that and looking at the switch itself it should be possible to work out how it should be wired. 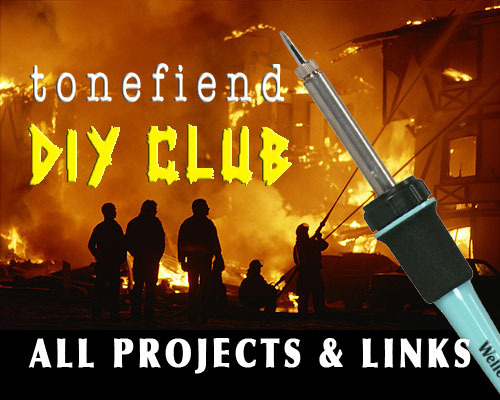 If that is a single bank switch, its a 2 pole 4 way and one of the poles has a lump of solder on it but does not appear to go anywhere. According to the Burns diagram there is a further A/B switch that in combination with the 4 way provides 8 pickup configurations. Is that second switch on the back of one of the pots? I have a 64 Ampeg Splitsound Jazz guitar and the original case. I bought it at a garage sale in 1977. Of all the guitars I’ve owned, I just can’t seem to part with this one even though I might play it once a year. Surprising there is still a following for the old Burns guitars and now it appears they are back in business. Playin’ it all by ear.